The Center for Advanced Hindsight at Duke is now accepting applications for its second cohort of the Startup Lab, which begins October 2016. We are looking for startup teams of 2-4 who are willing and able to be in Durham, NC for the duration of the program (October 2016-June 2017). 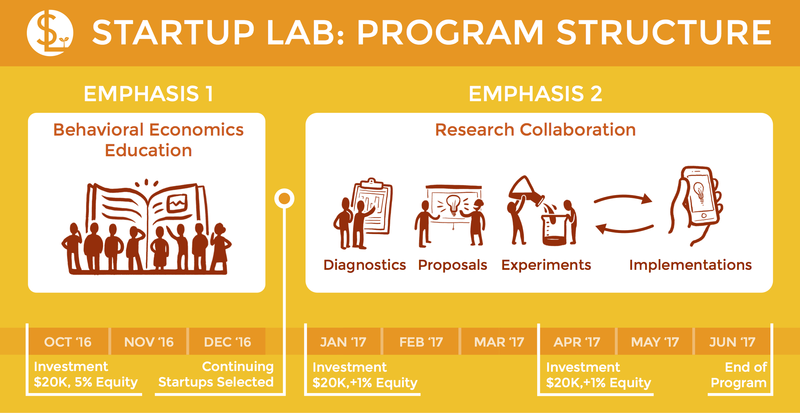 For details on the Startup Lab’s timeline, structure, and investment model, click here and check out the illustration below.